I have neatly outlined my experience and all the important specifications for each of the recommendations. 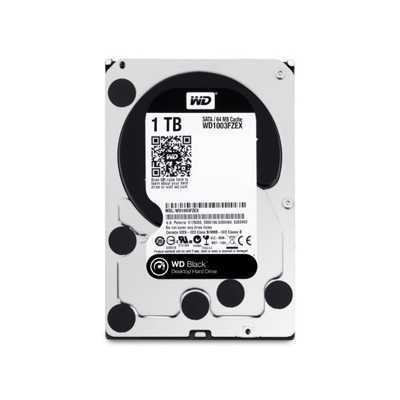 The specifications under each will be labeled in the following order where applicable; drive speed, disk space, form factor, connectivity, power required, and extra features. These are external hard drives straight out of the package. No choosing docks or enclosures or anything other. Just buy, unbox, and use! This is probably one of the most known external hard drive packages and for a good reason. Western Digital is a top-tier hard drive company and the cost/performance ratio the My Book series has is about the best you’ll find at USB 3.0/USB 2.0. This is the option to take if you want cheaper storage without cheaper performance. 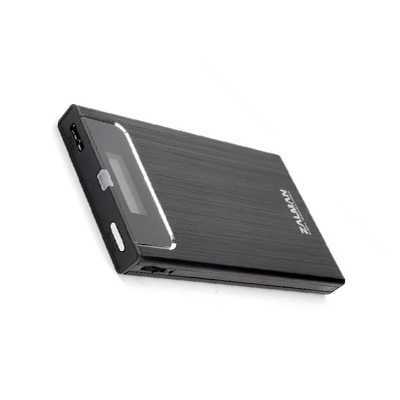 Price: $99.99 – $279.99 | Specs: 7200 RPM, 2 TB – 6 TB options, 3.5”, USB 3.0/USB 2.0, external power required, reliable, one-touch backup, top-tier parts. There are a lot of G-DRIVE series drives lurking around and they’re all great. G-DRIVE is the brand trusted in almost every professional recording studio I’ve stepped into. 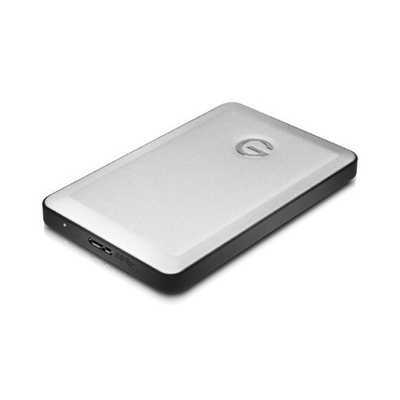 What makes this G-DRIVE great is a reliable 3 TB with Thunderbolt and USB 3.0 connectivity for an excellent price (as far as Thunderbolt connectivity goes at least). 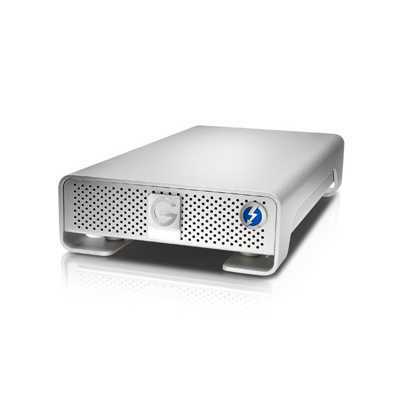 If you don’t need Thunderbolt there is a USB 3.0 / FireWire G-DRIVE available for cheaper. Oh and it doesn’t hurt that these drives are in a gorgeous aluminum casing! Price: $263.99 – $354.95 | Specs: 7200 RPM, 3 TB – 4 TB options, 3.5”, Thunderbolt/USB 3.0/USB 2.0, external power required, fast, reliable, 3-year warranty. Seagate is definitely trying to get people out of their newer backup line, which doesn’t use docks (read: cost more in the long run), but that’s no reason to ignore the GoFlex line. Definitely one of the best value in external hard drives you can swap out docks for the hard drives and upgrade connectivity for a relatively cheap price as you need it. There’s also the 2.5” version of this line if you can find it. Price: $149.98 – $184.92 | Specs: 7200 RPM, 3 TB – 4 TB options, 3.5”, USB 3.0/USB 2.0 included (switchable), external power required (desktop version), hot swappable, expandable system. I’ve already brought home the point that G-DRIVEs are the creative professionals choice, right? That’s why I choose this drive as the only portable complete package! 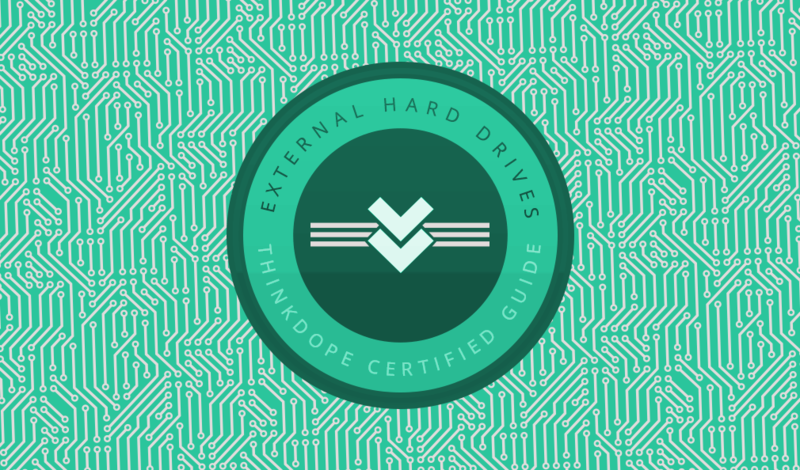 Most 2.5” external hard drives are only 5400 RPM, which G-DRIVE realizes won’t cut it in the creative professionals world. USB 3.0 is also here and of course it still looks great! Price: $104.99 | Specs: 7200 RPM, 1 TB options, 2.5”, USB 3.0/USB 2.0, no external power required, reliable, extremely portable. Not satisfied with already packaged external hard drives? No problem below you will find several docks, enclosures, and hard drives that can be used to make your own. Your hard drive is, well, the brains of the operation. Choose either a hard drive or an SSD and pair it with an exclosure/dock below. Referring back to part 1 of our guide, this is where you’ll determine your space, speed, portability (in form factor size), and power requirements. If there’s one thing I believe Samsung really excels in, it’s SSDs. I own two Samsung 840 SSDs and they are amazingly fast! I think the perfect bang for your buck at this time is the 250 GB version ($129.99), but whatever size works for you will be an excellent choice. 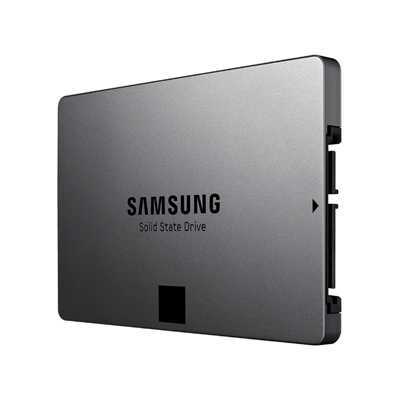 Price: $87.30 – $429.00 | Specs: SSD, 120 GB – 1 TB options, 2.5”, extremely fast. A few months ago I took a leap on a 480 GB Seagate 600 series SSD because of an amazing deal and I have no even remotely regretted it. I got the 480 GB version for under $200 (whoa I know), and it boots my sandbox computer in 9 seconds. Price: $137.29 – $329.99 | Specs: SSD, 120 GB – 480 GB options, 2.5”, mind-blowing fast. The Western Digital Black series is actually their premium line of traditional hard drives made for the highest performance and reliability. I can’t remember a time before I starting using Black series drives in my builds. Definitely my choice in traditional. There is also a 2.5” version in smaller capacities if needed. 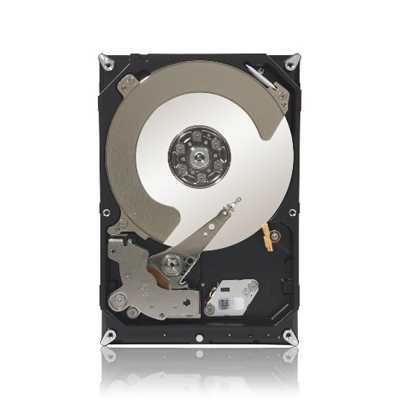 Price: $74.99 – $234.03 | Specs: 7200 RPM, 1 TB – 4 TB options, 3.5”, premium line. 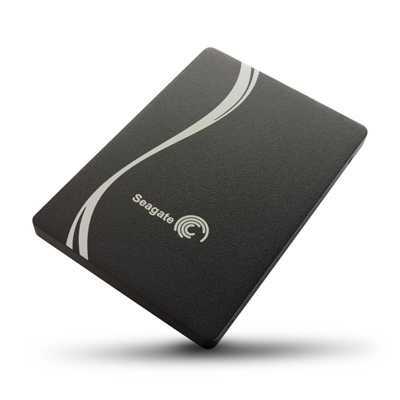 Seagate is also a top-tier traditional hard drive maker. The 2.5” version of these drives were actually used in Apple computers. Definitely have used them before, and if you need a cheaper price point with great performance this is a sure-fire option! Unfortunately, Seagate has discontinued this line’s 2.5” drives at 7200 RPM recently. 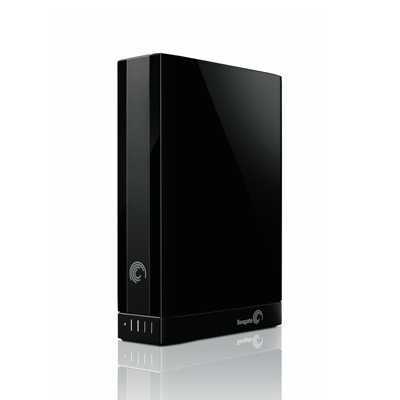 Price: $48.45 – $219.95 | Specs: 7200 RPM, 500 GB – 5 TB options, 3.5”, reliable. Although there is a slight difference between the two terms, you will need one or the other to connect a hard drive externally to your computer. Referring back to part 1 of our guide, enclosures and docks will have be where you determine your connectivity and extra features. While the GoFlex system is included above, you can actually just buy a dock and pop any naked hard drive in to connect to your computer. However what makes this the GoFlex Thunderbolt dock special is that it will be lightening fast and totally worth the upgrade, trust me – I couldn’t work externally without mine! Some people may not feel safe keep their spare hard drives bare (out of a protective casing), but if you head over to eBay you can find empty GoFlex cases to pop your drives in! At this time there seems to be a shortage on the desktop version, which is compatible with 3.5” and 2.5” drives, but the 2.5” only version seems readily available. I think it’s important to mention that the Thunderbolt dock isn’t your only choice, as any GoFlex dock can be used in this capacity. 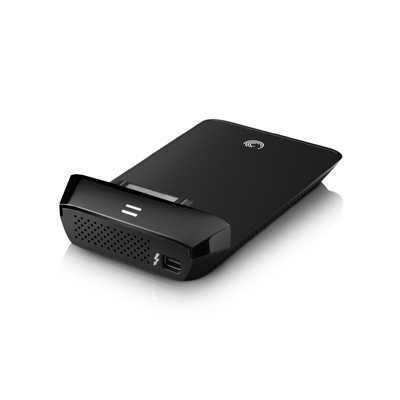 Price: $94.90 (Backup Plus) / $200.00+ (Desktop) | Specs: 3.5” or 2.5” compatible (Desktop or Regular Edition), Thunderbolt, external power required for Desktop version, hot-swappable (switch drives while on), blazing fast. This is a bit of a different concept than any other recommendation on this list. 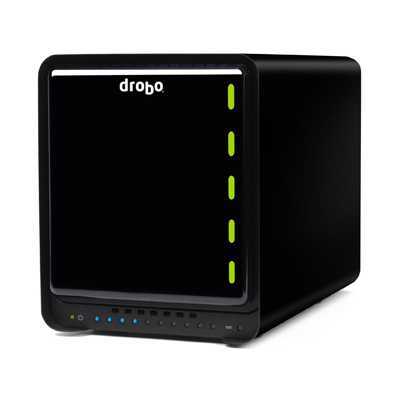 Drobo is known for their large array enclosures that let you stick multiple drives in them. 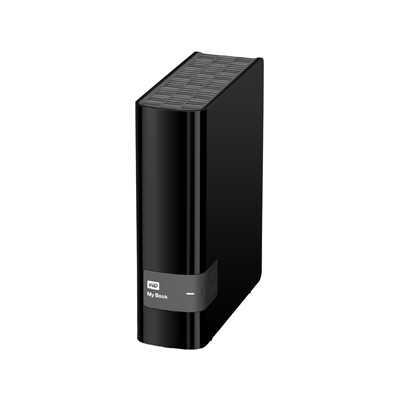 You can configure any combination of drives to work in RAID, backup, and/or store your data. This Drobo let’s you stick 5 hard drives and an mSATA SSD stick into one enclosure and connect it via Ethernet cord to your network (router). While it can only be as fast as your connection to your router, it’s invaluable to anyone who works on multiple computers (anyone on the network can access). There is also another version available if you rather swap out network compatibility for Thunderbolt/USB 3.0 support. Price: $459.99 | Specs: 3.5” compatible, NAS (Network Attached Storage), external power required, hot-swappable (switch drives while on), 5 hard drives + 1 mSATA SSD stick, RAID compatible. What makes this enclosure special is that it has a folder for .ISO files. Basically what it allows you to do is boot off of a CD / DVD image file without the need to actually burn it out – time and money saved! This is truly invaluable to anyone who has a lot of software or a computer without a disc reader. This is in addition to being a USB 3.0 enclosure for 2.5” hard drives. At this price point it’s a steal! Price: $43.82 | Specs: 2.5” compatible, USB 3.0/2.0, external power required, .ISO Boot, portable. This is the modern version of an old dock that I have. It’s the no-frills option, but what’s great about these type of docks is that they’re inexpensive and hot-swappable. They fit any hard drive and SSD no matter their physical size and have a USB 3.0 connection. If you don’t have USB 3.0 it’ll still work on any USB 2.0 port (just at USB 2.0 speeds). 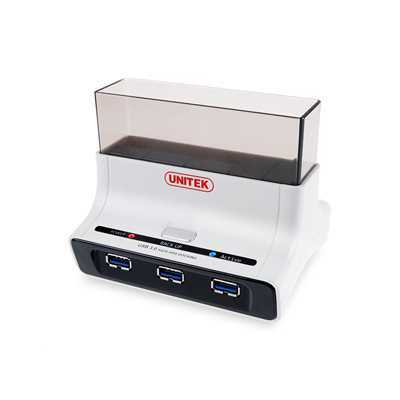 What’s even better is this dock has 3 USB 3.0 ports so it can be used as a hub too. If you can’t afford something a bit more premium this is still an excellent choice! Price: $27.99 | Specs: 3.5” or 2.5” compatible, USB 3.0/2.0, external power required, hot-swappable (switch drives while on), 3 port USB 3.0 hub, affordable. Now some of these may sound silly and borderline impossible (today! ), but as history has shown us, the human quest for comfort and discovery of the next big thing has inspired most to create things that have transformed the course of human existence forever. You don’t have to be an engineer or technology major to create the next big thing, this list just serves as inspiration to get out there and CREATE!